What other kind of cocktail can you create with tequila besides a margarita? What can you make with añejo tequila? If you don’t know, añejo is the darker tequila that is aged in an oak barrel. The amber color and flavor is picked up from the oak, and the oxidation that takes place contributes to the unique bouquet and taste. Adding grilled pineapple and fresh sage plays nicely off of the smoky quality of the añejo tequila. 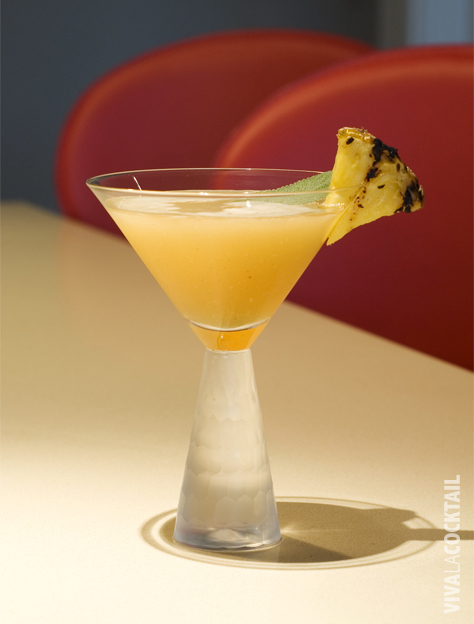 Gently muddle 2, one-inch chunks of fresh grilled pineapple with 3 fresh sage leaves in the bottom of a shaker. Add the tequila, agave nectar and ice. Cap the shaker and shake vigorously for 15-20 seconds. Double strain into a chilled martini glass. 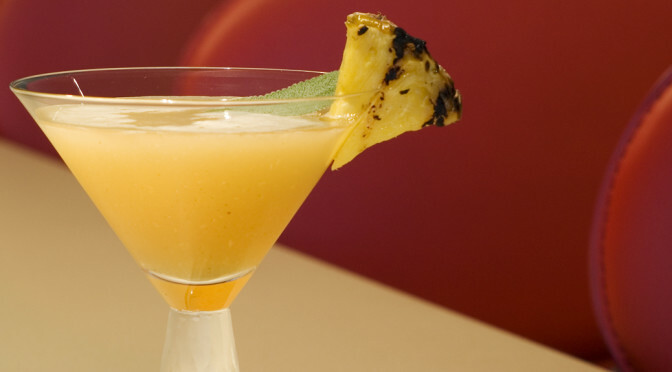 Garnish with a wedge of grilled pineapple and a fresh sage leaf. Tip – You can grill the pineapple garnishes up to a day ahead of time and store them in the fridge until you are ready to use them. You can also substitute any 100% agave añejo tequila.